It is a curious thing to see new but old expressions coming out form distilleries over the last few years. It can be a great way to get look in at the evolution of whisky brands and William Grant & Sons have done just that. 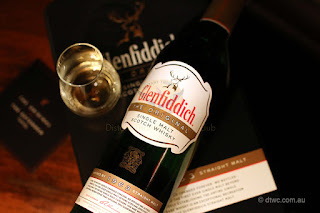 June 3, 2015 saw the launch of the limited release Glenfiddich Original at the Lord Dudley Hotel, Sydney. We were lucky enough to attend with the launch and some club members returning for sit down master classes with the Glenfiddich Brand Ambassadors Laura Hay and Richard Blanchard. 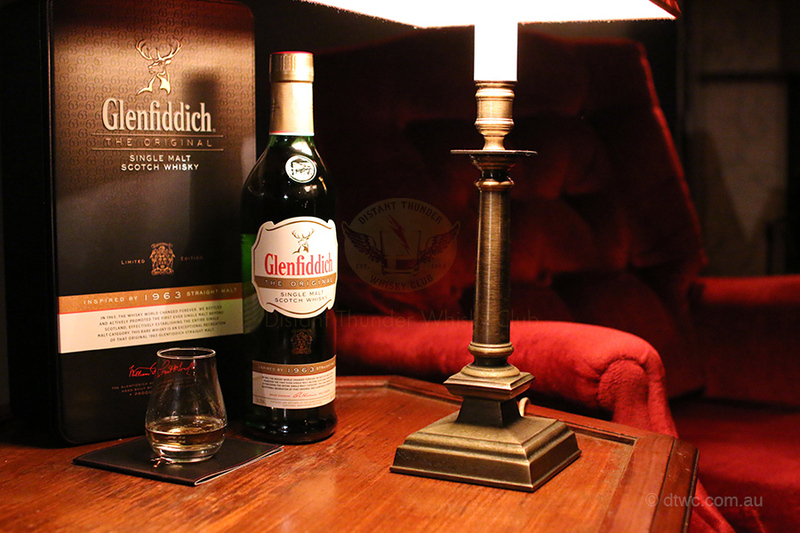 The Glenfiddich Original is a throw back to how the brand was marketed and delivered outside of Scotland in the 1960’s primarily into the USA. This new release celebrates what launched the brand globally. As a no age statement whisky there are reports from William Grant & Sons that the original release in the 1960’s was around the 8 year old mark. Does that mean William Grant & Sons has followed a similar path in blending stocks? Who knows but I don’t think that age matters in this case as Malt Master Brian Kinsman was aiming for a similar profile replication and not carbon copy facsimile. William Grant & Sons launched The Original in June 2015 at The Lord Dudley Hotel. During this 4 day launch attendees could take a free masterclass and tasting of the core Glenffidich range as well as experiencing The Original in context. There is no more of a perfect way to take a retrospective look at where the whisky came from without tasting where the whisky is now. Nose: Typical vanilla oaks and fresh green pears. A much lower abundance of spice and florals you may be expecting in a Glenfiddich and a more malt cereal nose. Taste: Again the pears appear as do apples and citrus but much lower in the spice profile the 12yo displays. Soft cereal malts and sweet honey in the background. Overall this is a typical Glenfiddich but it displays as much unique character as every other family member should. It is neither extreme not exactly like any of the others. Naturally this is not going to rock you boat and give you a blast of something totally out of the ordinary but then why should it. If this is a representation of where Glenfiddich started their marketing as a single malt then it was a bloody good beginning. Naturally if you are a Glenfiddich fan then this is certainly something that should be tasted. It is cool to know the origins of what now marks one of the worlds biggest selling malts, the Glenfiddich 12yo and I thoroughly enjoyed the experience. Thanks to William Grant & Sons for the invite to yet another stand out event. If you would like to see more shots of the event then duck over to our facebook album.